NHVR is a Pennsylvania based vizsla rescue group organized in 2010 to help vizslas in need, generally in the PA, NJ, DE and MD region, but certainly in conjunction with other vizsla rescue groups and locations as necessary. We believe that vizslas have the intelligence and motivation to start over again; and NHVR has helped countless dogs successfully find new forever homes. 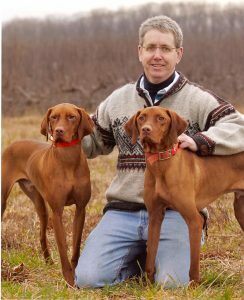 All of the board members have more than 15 years experience with vizslas breeding, showing, hunting and rescuing. We are a non-profit group with a network of volunteers committed to helping vizsla lovers help vizslas in need. NOTE: If you can, please email back an attached document versus the contents being in the body of an email. Just easier for us to file away and not lose you! Registered 501(c)(3) Non-Profit Organization. Org financials available upon request.